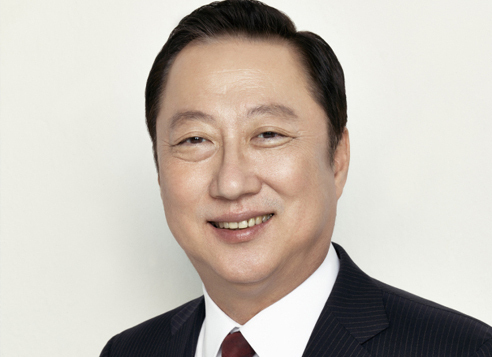 Park Yong-maan, chairman of the Korea Chamber of Commerce & Industry, was re-elected an executive board member of the International Chamber of Commerce, officials said Tuesday. He was re-elected at an ICC general assembly held in Nairobi. His term ends in June 2020. The ICC is the world’s largest business organization, with more than 6 million members from 130 countries. It was the first private organization to hold an observer status at the United Nations. It has also played a pivotal role in running B-20 summits and the gathering of business representatives from G-20 member countries. The ICC executive board is the top decision-making body that discusses major businesses of the organization and the latest issues on the global economy and business. Its list of board members include ICC Chairman Sunil Bharti Mittal, Transcom Group Chairman Latifur Rahman and Dennis Nally, a board member of Morgan Stanley.